A long time ago in 1999, LEGO released its first product line featuring a licensed property. That property? LEGO Star Wars. 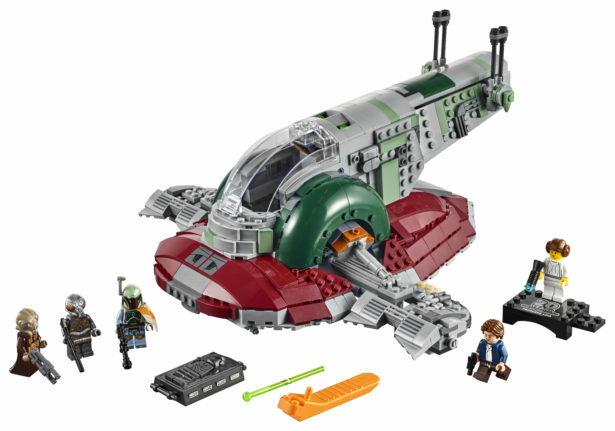 Now, 20 years later (my god, it still feels like the 80’s was only 20 or so years ago), LEGO Star Wars is celebrating two decades of work/games with brand new LEGO sets featuring iconic ships and vehicles from the Star Wars universe. The sets recall some of the most famous scenes from both the Original Trilogy and the Prequel Trilogy, each coming with a 20th anniversary collectable minifigure. The sets won’t be available until later this year, but here is a sneak peek at what you can expect ahead of the release. At this moment in time, prices have not yet been made available. First up is this Imperial Dropship, that comes with a set of three regular Stormtroopers, along with one Shadow Trooper for the cockpit. The set also comes with stud blasters to be deployed in the fight against rebels scum. The kit comes with an 20th anniversary Han Solo minifigure. Next is this Clone Scout Walker and the Dwarf Spider Droid straight from the Battle of Kashyyyk! 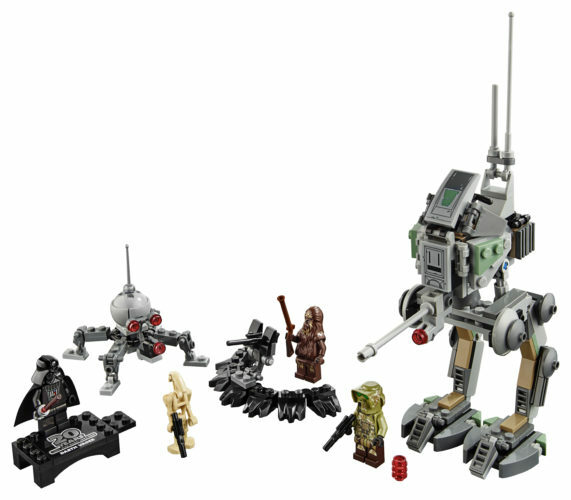 The set comes with Clone Scout Trooper, a Wookiee Warrior and a Battle Droid. The kit comes with an 20th anniversary Darth Vader minifigure. The classic Snowspeeder, straight out of the Battle of Hoth, seen in Episode V: The Empire Strikes Back, complete with Luke Skywalker and Dak Ralter minifigures, a Rebel Trooper, and a stud shooter. Luke even coming with this trademark blue lightsaber whilst in pilot gear. Now you can take on the whole Empire all by yourself. The kit comes with an 20th anniversary Lando Calrissian minifigure. Bounty hunters, you’ll need their scum with Boba Fett’s Slave I starship, But he’s not travelling alone. As Zuckuss and 4-LOM are along for the ride (for some season) And no Slave I set would be complete without Han Solo encased in carbonite. Though the set does come with a separate Han Solo figure, too. The kit comes with an 20th anniversary Leia Organa minifigure. 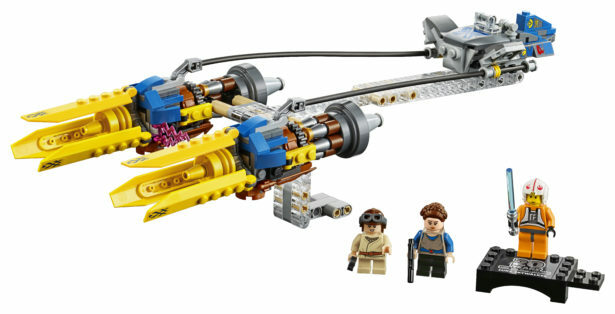 And finally, from the movie that’s anniversary corresponds with LEGO Star Wars’ Episode I: The Phantom Menace, it’s Anakin Skywalker’s podracer. The set comes with a young Anakin Skywalker along with a young Padme Amidala. The kit comes with an 20th anniversary Luke Skywalker minifigure. Wow, amazing. Twenty years later and LEGO Star Wars is still going strong today as it was back then. And just how much it’s evolved over the years. I remember as a kid playing with this, getting the first carnation of the Millennium Falcon. Looking back, just how much just one ship has changed, being so “blocky” and now LEGO has it nailed to a tee. So many good memories of LEGO, here’s to another 20 years of LEGO Star Wars.